There are a plethora of binary options, CFDs and Forex brokers sprouting every day, and the vast majority of these are here today and gone tomorrow. It seems opening up a new online broker can be done so without much efforts or startup capital, but it is exactly these types of offshore operations you should avoid because they are in it for the short term and disappear once they feel their ability to steal your money is over or not effective anymore due to negative reviews. It’s also worth noting that some brokers will pose as legit and claim they are regulated, when in reality they are not. For all intents and purposes owning a Belize license does not really mean you are regulated. Contrarily, some regulated brokers will do everything legally within their power to withhold funds or create bureaucratic difficulties in order to get you to delay or cancel your withdrawals. Still, even if this is the case, its much better being in the hands of a broker like that then someone who is just out to defraud you and steal your money. 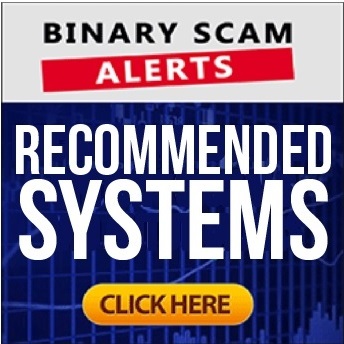 Quick Update: Binary Scam Alerts Does NOT endorse or recommend ANY binary options brokers or any type of binary options trading. All of our brokers are either Forex or CFD brokers. Withdrawals that are unjustly declined. Credit card theft, which usually comes in the form of over-charging. These two crimes take precedence over everything else, and whenever we endorse a broker we make sure we know who we are dealing with since we receive endorsement requests on a daily basis. After that we are looking at other issues such as manipulation of software to generate losing trades and identity theft, but it mostly leads to the same thing (delaying or annulling your ability to cash out). Again, before you sign anything or send a broker a scanned photo of your ID or credit card information, we kindly ask that you contact us for a quick consultation which is free of charge. If you have already deposited and feel frustrated since you have been promised by your broker that a certain strategy or trading tool will generate profits for you but has not, make sure to file a complaint in our report a scam section and also leave a detailed comment below for everyone to see. We recommend that anyone reading this post listen to a real live audio-recording that we received from one of our members who got scammed by a broker named “bigoption“. If you have not gone through our site and partnered via our recommended trading robots or brokers, then we can’t guarantee that you won’t get scammed. Regardless, no one can guarantee anything, but at least we have some securities and leverage in place so that we know who to turn to if and when the problems start. Our recommended broker section will only accept up to 3 reputable brokers. They are either fully licensed by CySec, MIFID, ASIC, Financial Services and Markets Authority in Belgium, AMF, MFSA, FMA, MGA, FCA, and of course the SEC in the United States. Or alternatively unregulated but operating in a very legit way. We have found a few brokers which answer to this criteria, and they decided to forfeit their license for a variety of reasons namely having to do with exorbitant licensing fees and strict guidelines about what kind of clients they can accept. For example, 24Option has recently declined to accept all traders integrated with an automated trading or signals app as this was mandated by CySec. This means if you wish to open an account with 24Option while utilizing the services of a trading robot or signals provider you will NOT be able to do so. So, assuming not every broker out there has 20 Million dollars in monthly revenues, we think it would not be fair to exclude them from being endorsed as long as they play fair and don’t cheat their paying customers. Our first choice will be to partner with a regulated broker, and this is for a variety of reasons. First and foremost because they are required to hold a separate budget which is used for paying clients. This has noting to do with the profit and loss statements, and already factored into the main budget. Secondly, we know that there are protections set in place and the broker has much to lose if they violate these rights and customer protections. Now, when recommending an unregulated broker we make sure we know who we are dealing with on a personal level. Secondly, we establish direct communications and ask for a written commitment guaranteeing our customers will not be cheated out of their money. Finally, we have a bunch of our members open trading accounts and start executing winning trades. Eventually we accrue a combined balance which is significant to use as leverage, and when push comes to shove we can use this leverage and have our traders start cashing their money if our members are not paid in full. We have been contacted by a variety of brokers asking us to promote their service, and we have declined them politely. Some of these people are very persistent and keep badgering us for months, but that doesn’t work. They have to provide a great service and actually respond to customer requests with real-time answers and solutions. The trading environment has to be intuitive and user-friendly, and the cashier section of the software has to accept most forms of credit cards such as Visa or Master Card. The withdrawal process has to be easy and payment times have to be in line with industry standard. For example, once all documentation has been sent 2-5 business days is all it takes in order for a payment to go out. As far as we are concerned there is only one reason why day traders end up losing their money and getting scammed and that is because they fail to do their research properly. When you start researching you may read a lot of things which are not even relevant to what you are looking for and may get side-tracked. Make sure to stay focused and choose the right brokers and systems. Unlike other sites that give you a list of 50 brokers we will only recommend 3-4, and that is because people don’t need so many – just the best ones. So our selection of shortlisted brokers will always include the creme of the crop in the binary business. Mobile trading on Android, IOS, iPhones, iPads, Smartphones, Tablets, and other hand held devices. Robust Educational Section: An easily accessible learning center and FAQ section is crucial especially if you are a new trader just starting out. Demo Account: We don’t use demo mode, but know people like it so we try to make sure there is one available. However, not having a demo will not disqualify the broker from being endorsed. Bonuses: If you are interested in bonuses and incentive you have to understand what the trading requirements are that accompany the free perks and incentives. Minimum Deposit: The industry standard is $250, so anything over is not the usual amount and you need to start asking questions. Diverse Assets Index: The more assets you have the better. Traders are not satisfied with the usual currency pairs, stocks, commodities, and indices any more. They want more 60 second options, ladder, stop/loss features, and various strategies. If you are in the market for a new broker and not quite sure about how to proceed you are not alone. There’s a lot of hype out there and merely trying to sift through the clutter is a full time job by itself. Fortunately our staff of researchers has done the work and we are continuing to rummage through the pile of thieving scam brokers looking legit and genuine online trading platforms where you actually have a chance of profiting making money. If you have any questions concerning a specific broker such as BDSwiss, 24Option, IQOption, Markets World, High Low, Binary.com, Ayrex, ETX Capital, Avatrade, Fortrade, XM.com, NordFX, FXChoice, OctaFX, FXTM, Etoro, FXPro, EasyMarkets, IronFX, FXGiants, Plus500, FXPrimus, Markets.com, CM Trading, or Oanda, you need search no longer. Just leave a detailed message below and we shall be more than happy to reply with a proper response. Don’t forget to join our Facebook Page and YouTube Channel.